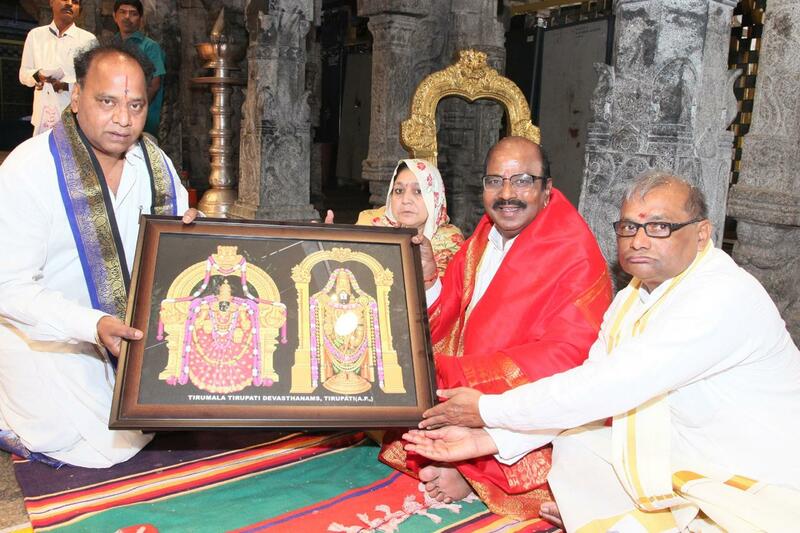 National Commission for Safai Karamcharis Chairman Manhar Valji Bhai Zala offered prayers in the temple of Sri Venkateswara Swamy in Tirumala on Wednesday. Accompanied by his wife, Manhar had darshan of the deity during VIP break. After offering prayers in the sanctum sanctorum he was rendered Vedasirvachanam by vedic scholars in Ranganayakula Mandapam. Later the JEO presented him theertha prasadams along with God laminated photo.